Oral medication, anti-inflammatory prescriptions & narcotic pain relievers. When any of the above fails to give relief the next step is considered. The hope is that the regiment will give some lasting pain relief, but often the injury is so severe that until the nerves are relieved of stress the pain will never go away. As personal injury attorneys that have handled hundreds of lumbar injury cases, we know it is important to properly manage a lumbar injury accident case. Sadly, many law firms do not understand the complexities of these serious cases, and fail to understand the long term consequences of surgical repair. The back will never be 100%. Medical treatment and medical experts are needed to properly configure the legal requirements of the medical evidence. Future projections of medical care and treatment must be calculated. If you have suffered a lumbar injury and would like to discuss your case, please contact Joseph L. Benson II, Esq. – a true lumbar surgery attorney. 702-382-9797 x 226. 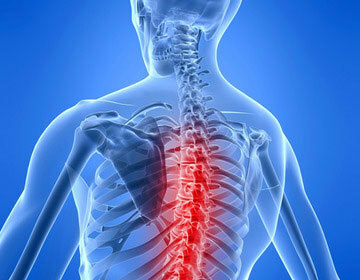 Lumbar Injuries can be Very Painful and Difficult to Treat.